As the school year winds down, we have been busy planning a variety of exciting classes, camps and programs for the summer. Here’s a quick rundown of everything we’re offering; simply click the images for details and registration info. 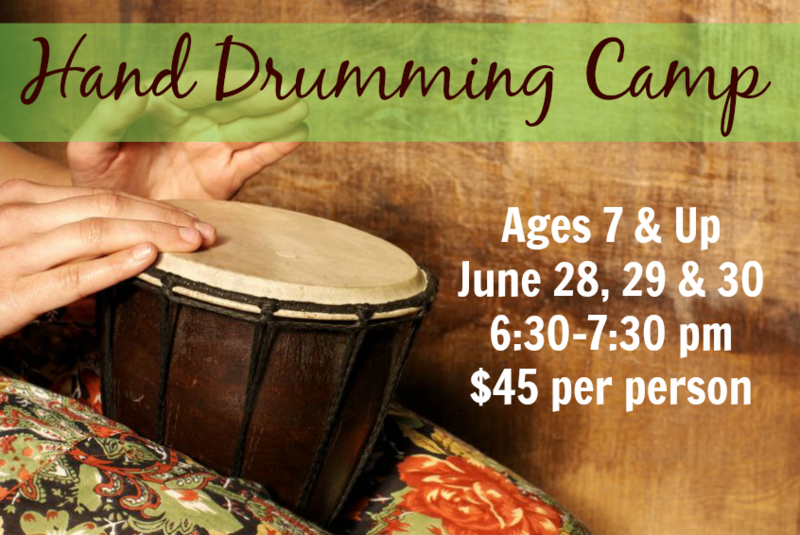 Learn hand drumming techniques, rhythmic patterns, how to lead drum circles, and much more in this dynamic summer camp with MTC co-owner and drumming enthusiast Katey Kamerad. 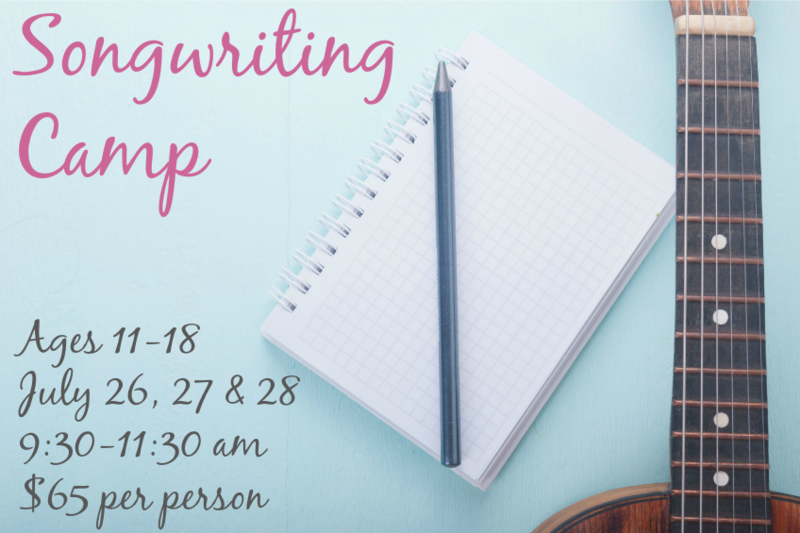 Learn the songwriting process, hone your style as a songwriter, record your creations, and much more in this dynamic summer camp with MTC co-owner and accomplished songwriter Rachel Rambach. Music is for everyone, no matter what your ability. 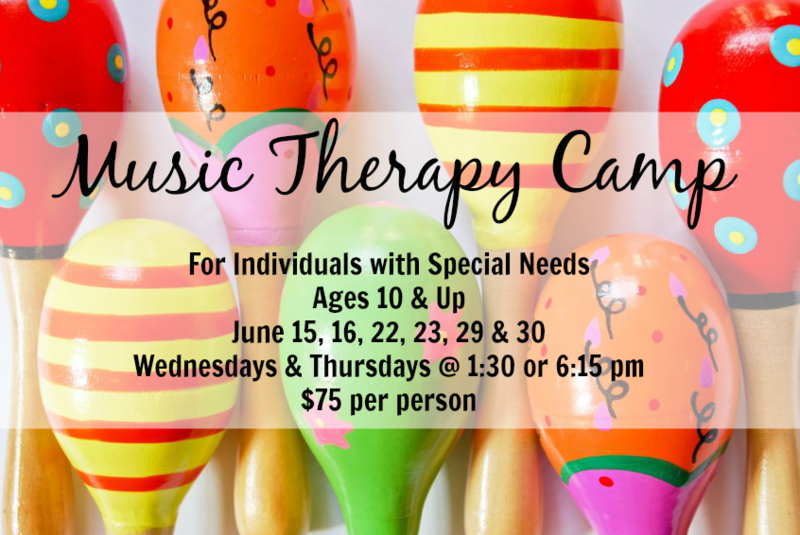 Instrument play, socialization, movement, and creativity are at the heart of this dynamic summer camp with board-certified music therapist Janel Metzger. 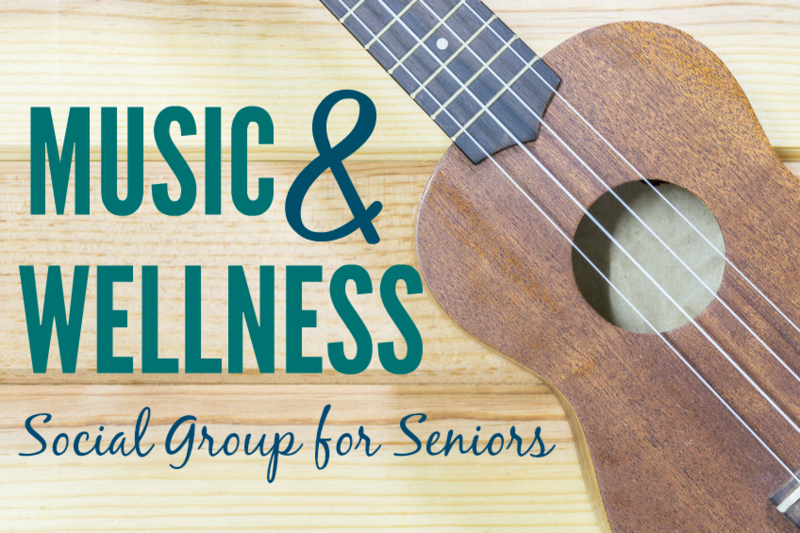 Join us for a variety of musical activities featuring popular music from the 1950s-70s that will encourage moving, singing, playing and socializing. We utilize preferred familiar music to provide a full range of activities & research-based interventions. Our flagship class is designed for children ages 0-3, and led by our board-certified music therapists. 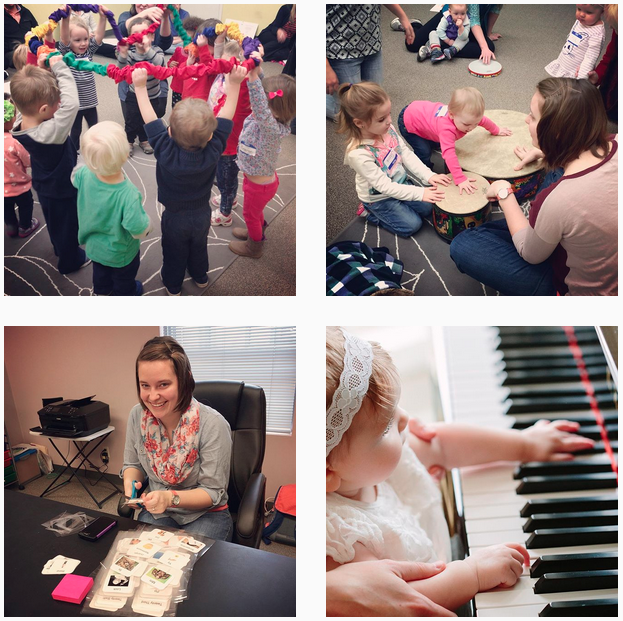 Each 45-minute class combines movement, singable stories, and group instrument play. Join us for this FREE family event, featuring 25 of our “greatest hits” over the past year. We’re offering two day and time options to accommodate all families. 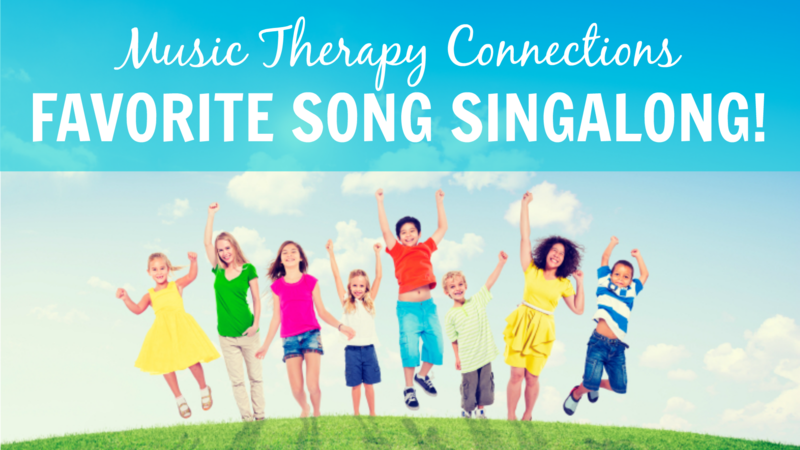 All participants receive a free download of the songs included in the singalong. It’s going to be a busy but wonderful summer in our studio! We’re looking forward to welcoming lots of new families and students, as well as sharing our experiences right here on the blog and in our brand-new live video series on the Facebook page! This year I have had the pleasure of working with some of our youngest pianists and helping them grow in their skills. With this has come many questions about which piano is right for a given student and how to know where to begin the purchase process as a parent. Those questions have inspired this beginner piano buyer’s guide! Number of Keys- These can vary but the most common is a 61-key and an 88-key. These are measured by how many keys are on the piano. A 61-key keyboard is smaller and will be lower in cost and vice-versa for an 88-key. Eventually a student will need an 88-key piano or adapt music, but this doesn’t need to happen until book 2 or 3. Brand Name- The most common brand names offering affordable keyboards are Yamaha and Casio. These are both wonderful and reliable brands. With these you can’t go wrong. Piano Bench or Seat- these are usually adjustable along with the height of the keyboard. Keyboard Stand- Most keyboards come with a stand. I would recommend checking to make sure because this is a must! Music Stand- Keyboards should come with a music stand, attached to the top of the keyboard to hold music at a comfortable level. Once again, this is a must have. Weighted Keys and Key Size- Key size is very important. You should check to see that they haven’t slimmed the keys on your keyboard to provide for ease of transition from practice to lessons and performance. Also, there are a large variety of keyboards out there that have weighted keys. Weighted keys require more resistance when playing to more closely relate to the feel an acoustic piano. Altogether your choice will largely depend upon whether you would like to get a starter piano or something more long term. I still use my 88-Key keyboard that I started my piano journey with 12 years ago. My recommendation would be, if it is within your price range, to invest in an 88-key keyboard. You don’t need an upright piano, or a keyboard with all of the bells and whistles to give your child what they need to excel in their music lessons. Best of luck in your piano buying journey! Fitting in a 5-week session at the end of the school year can be tough!! There’s graduations, concerts, recitals, parties, vacations, holidays, track meets, and the list goes on and on! So, why push a class that might be poorly attended? Instead, we’ve created an alternative that gives new families a shortened session they can use as a trial, provides our regular attendees a little break, takes into account conflicting dates that might be on everyone’s calendar, and all at a discounted rate. We know this is a busy time of year for everyone so we try to work with families to find a reasonable solution. Take a brief look at our video and visit our website to learn more about our mini session and register today! Classes start next week. I love working with instruments. I could entertain myself all day with a djembe, guitar, piano, and an endless supply of sheet music. But sometimes my students and clients don’t share my endless love for all things instrumental so… what else is there? Well, I’m glad you asked! Musical Props and Manipulators- Hello Connect-a-band! This category is a great love of mine. I make use the stretchy band and parachute with almost every group and music class. These are great for gross motor movement and getting those jiggles out! A few other great options include bean bags, streamers, scarves, and of course- the balloon ball. Stuffed Animals and Adapted Toys- Stuffed animals are a great way to create a different sensory experience with common instruments. Like playing stuffed animals on a drum for “5 Little Monkeys Jumping on the Bed” or “5 Green and Speckled Frogs.” Even large bean bags can be a great way to provide a new musical experience. Laminated Visuals- This is something that our team has been doing for the last year. For each class session we have written a special seasonal song accompanied by five visual counting aids. We have done everything from flowers to trees, and raindrops to snowflakes. What is truly wonderful is seeing our class grow in their counting skills as we work together. If you would like to check out our counting books and songs, click here. 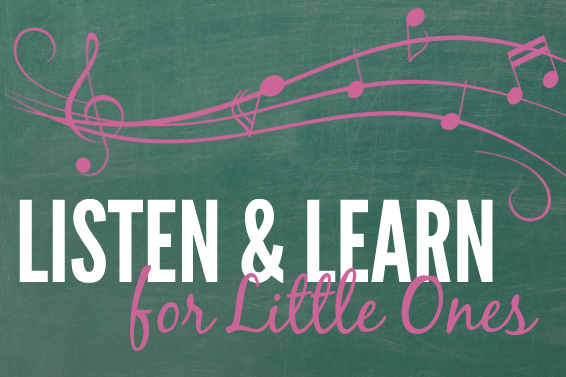 If you are a parent of a young child, check out our Listen & Learn for Little Ones class. Led by board-certified music therapists, this class is structured to support growth in play and musical exploration! Come join us!